Few men relish shoulder day, but you neglect them at your peril. 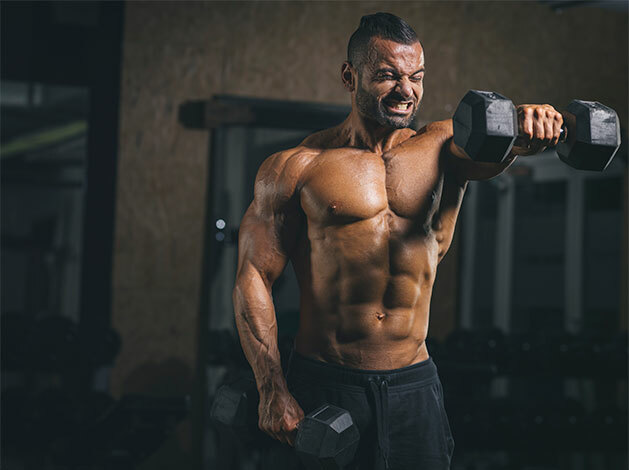 Broadening out up top slims your waist to carve out that coveted V-shape and, because you've probably never properly tested them, gains will come quicker than anywhere else on your body. For the best approach to pump-up up top we asked PT and osteopath James White for some of his best exercises, fashioned into an intense workout that builds muscle fast. Prepare to shoulder arms. 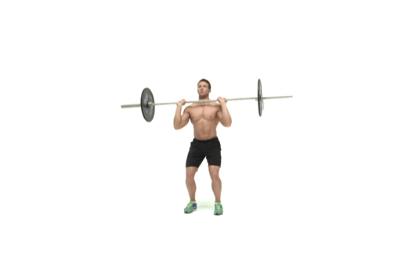 Barbell Standing Press: This bodybuilder staple also works your whole body. "It's a great overall mass builder," says White. "These are really good for strengthening your core and increasing overall strength due to the stability aspect of this movement." Start with your hardest move to ensure you've got the core strength to maintain perfect form. 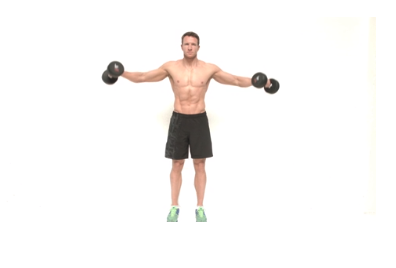 Seated Dumbbell Press: Re-rack your barbell and grab a pair of dumbbells. They're all you'll need for the rest of the workout. Then grab a bench; sitting down helps isolate the shoulder motion. "These are really good for not only handling a lot of weight, but also having the freedom of using dumbbells," White tells us. "You can bring them nice and low to get a really full range of motion." Take a load off your feet and put a load on your delts. 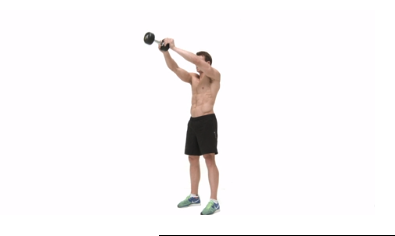 Arnold Press: Named for their Mr Universe-winning, Predator-killing inventor, the rotating motion at the end of this exercise hits more than the standard press to fill out that v-shape. "It's nice way to do a conventional press while adjusting position to target the anterior deltoids," says White. For the layman, that's the front bit of your shoulders. Which will feel like they've been Terminated tomorrow. Front raises: White recommends front raises to those that have gone through the routine and feel short-changed in the front. "It’s unlikely that your anterior delts need extra work, so spend more time on your medial and posterior deltoids. However, if you feel you want to hit your front deltoids harder, then a front raise is the one for you." Again, low weight and high reps help you maintain form for shirt-busting gains.